This is number eleven in a series of downloadable worksheets to use at home, in small groups, or during break-out sessions with our Catholic marriage advice book, The Four Keys to Everlasting Love. TO DOWNLOAD AND PRINT, CLICK HERE. In the day-to-day grind of life, it can be easy to forget that what we do now has consequences for eternity. This is especially true in family life, where we live out our vocation to sacramental marriage and, God willing, as parents to the next generation. Our families are "domestic churches," where we share God's divine love with each other and strengthen each other's faith. 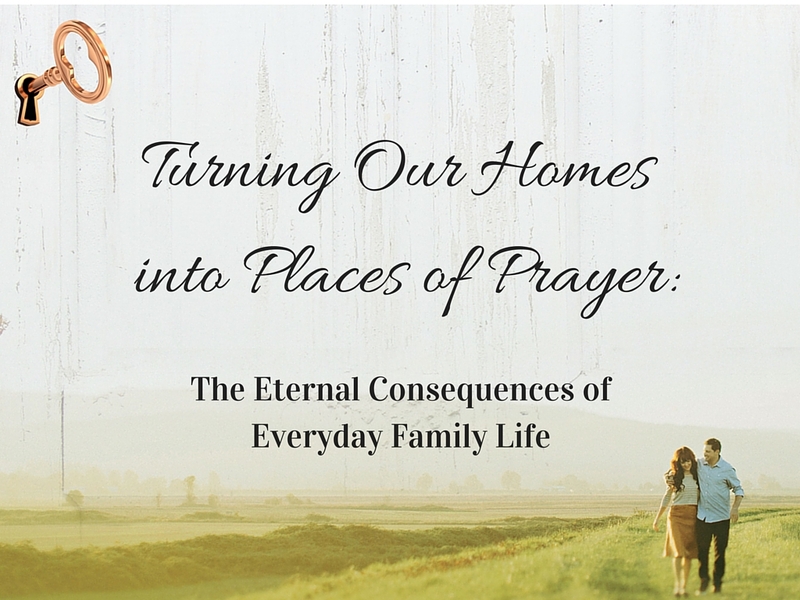 A rich family prayer life can bring great peace to our homes. As Manny and Karee say in Chapter 11 of The Four Keys, "When family members spend time together nurturing their friendship with God, they form a nearly unbreakable bond. In becoming closer to God, they become closer to each other. Evenings become filled with prayer instead of electronic entertainment, and Sundays become filled with praising God instead of hopping in separate minivans to drive different kids in different directions to various extracurricular activities." This year Catechetical Sunday is devoted to the theme of prayer. Free resources on prayer greatly appreciated. We have resources on traditional prayers. Resources for children's prayers that focus on relationship with Christ, daily events and struggles would be appreciated. Resource on how to write your own family prayer might be nice: a worksheet with some prompts but fill in the blanks might be best. I have young adult children living at home and there are beautiful devotional pillar candles available in the Latino food aisle of our grocery store. We have one of the Virgin of Guadalupe burning at the dinner table. My young adult sons both like the presence of our Blessed Mother at the Table and although we don't do anything formal as far as prayer ritual, it is a tangible reminder of our beliefs and our faith. Tips such as this for all ages would also be welcome. We love the devotional pillar candles, too! In our book, we talk about starting a habit of discussing the day's desolations and consolations at bedtime -- this helps your kids open up about their daily events and struggles and bring them to God with your help. As for family prayers, you might ask your own parents or older relatives about their favorite prayers. There might already be a family prayer that you don't know about!